(RestaurantNews.com) Crave Hot Dogs and BBQ are unique fast casual BBQ and Hot Dog establishments. There is an array of menu offerings including, hot dogs, BBQ sandwiches and sliders, delicious sides such as baked fries, and of course our famous Self-Serve Beer wall. Crave stands out because they believe in allowing customers to create their own meals by adding their own toppings and condiments. Creativity is encouraged at Crave! 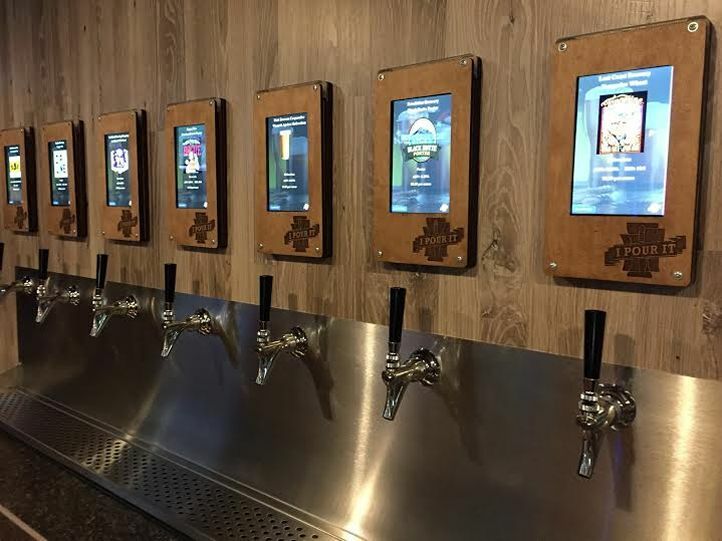 The self-serve beer wall comes with anywhere from 18-32 tap handles. Customers can choose from an assortment of local draft beers as well as wine and cider. At Crave it’s not just about the food, it’s about the experience! Franchisee Robert Bibb signed with Crave in the end of May and already has a location chosen and lease negotiated and signed. He is expected to break ground with construction in the next few weeks. “I couldn’t be happier with the way things are going. From the second I found Crave I loved the concept, things are going quicker than I imagined and I’m excited to serve up some BBQ this Fall!” says Robert Bibb. Roberts location is in Dawsonville, GA in the Dawson Crossings Shopping Center. Crave has signed 12 franchisees since going live this past March. By 1st quarter next year they should have sites in GA, OK, NC, FL and TX. They plan to sell a total of 25 units this year.